Dry Eyes- Dry eye syndrome is a condition in which a person’s tears do not provide adequate lubricant or moisture to nourish the eyes. Tears help maintain the health of the surface of the eye and to provide clear vision. Dry eye is a chronic condition that can be present among all ages. However, it is more commonly seen among adults over the age 60. Dry eye is usually self-diagnosable where an individual’s eyes may become red, inflamed, and of course, dry. An individual may also experience sensitivity to light and scarring to the front surface of the eye. 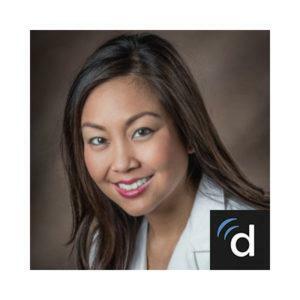 Dr. Lisa Dang graduated with a bachelor’s degree in chemistry from Xavier University of Louisiana. Dr. Dang then went on to medical school at Louisiana State University Medical School. After completing her degree in 2010 she participated in an internal medicine partnership at Ochsner Medical Center. While completing her ophthalmology residency at Louisiana State University-Ochsner Medical Center in New Orleans. Dr. is fluent in English and Vietnamese.